Blues Superband? Well, this would probably be a good description of Harpcore phenomenon, if not for the fact that its members' musical imagination broke out of the framework of pure blues long time ago. As a result, we get this explosive multi-genre coctail of virtuosity, finesse and, most of all, great fun! The band consists of Polish blues-rock premier league. 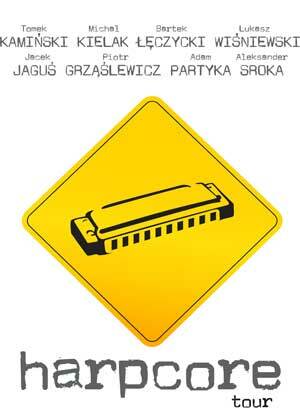 Four top harmonica virtuosos – Tomek Kamiński, Michał Kielak, Bartek Łęczycki, and Łukasz Wiśniewski – are supported by two best Polish guitarists (according to Twój Blues magazine): Piotrek Grząślewicz and Jacek Jaguś, as well as atomic rythm section: Aleksander Sroka – bass guitar, and Adam Partyka – drums. Harpcore’s first album released in 2011, has already won the hearts of fans: they voted it Best Blues Album of the Year 2011 in the surveys conducted by the most respectable Polish blues media: Twój Blues magazine, bluesonline.pl, and Forum Okolice Bluesa blues.com.pl. Harpcore will definitely appeal greatly to those who prefer new solutions in music to cliches. 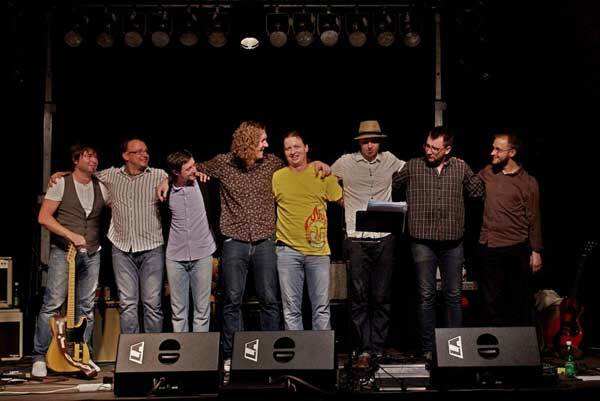 The album combines blues, rock, jazz, and funky into a real music dynamite! The album’s professional production is another reason why it has been so enthusiastically received. You can also feel how enthusiastically the audience react to Harmonijkowy Atak music during their concerts. No wonder – the supergroup creates the atmosphere of total fun and excitement!